At Premier Family Dental, our team excels at correcting dental problems in revitalizing, seamless ways – but what if we could help you avoid them altogether instead? Dr. Cofer emphasizes the power of quality preventive care to his patients at every appointment, and he will be happy to provide you and your loved ones with effective services that can potentially save you a great deal of time and cost down the road. If it’s been six months or more since your last appointment at the dentist, don’t hesitate to contact our Waco, TX location today. 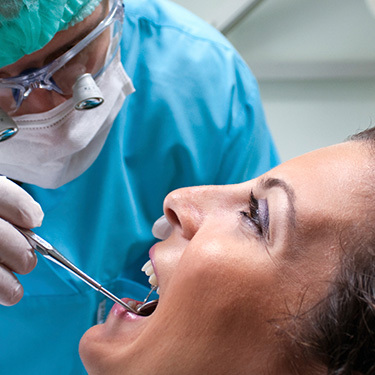 Every patient needs to be visiting their chosen dentist at least twice every calendar year. Why? Because even diligent brushers and flossers can still fall victim to problems that simply aren’t noticeable to an untrained eye. During your regular checkup, Dr. Cofer will thoroughly review every aspect of your oral health, such as the surfaces of each tooth, the gum tissue, the jaw, any restorative work currently in place, and more. X-rays will reveal anything that the naked eyes can’t identify as well. Additionally, plaque is a constant, bacteria-filled threat to your smile that can harden in place over time along the enamel. 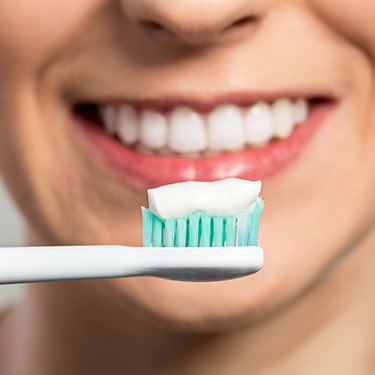 Routine cleanings here at Premier Family Dental can get rid of this harmful substance in a thorough fashion and leave your mouth feeling refreshed. Being able to bring the whole family to see one, trusted dentist here in Central Texas can save parents an amazing amount of time and travel-related cost. Dr. Cofer and the rest of our staff are familiar with the needs of all ages, and we always take the time to help your son or daughter feel right at home. 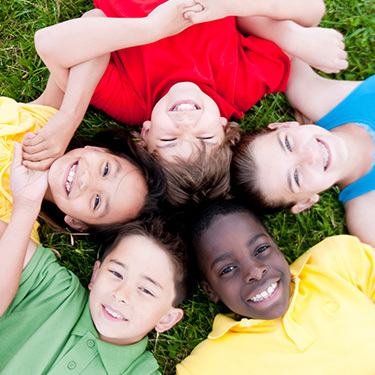 Our kid-friendly services include dental sealants, fluoride treatment, gentle cleanings, tooth-colored fillings, and more! Your back teeth (the molars and premolars) can be hard to reach with the toothbrush sometimes, especially for littler patients. In order to give this area of your mouth a little extra protection, we can place dental sealants over their chewing surfaces. These thin, tough plastic coatings are comfortable and hardly noticeable, and they do a great job at blocking food particles from squeezing into those deep grooves. Do you regularly wake up with jaw pain or a bad headache? 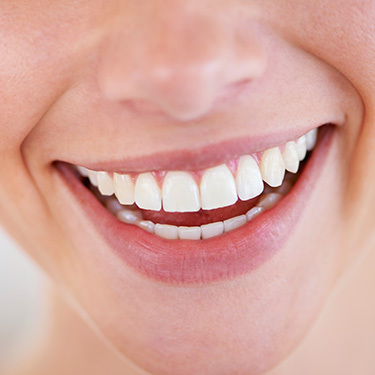 Do your teeth appear damaged or worn-down and you have no idea why? These are very common signs of bruxism, which most people know as teeth grinding. 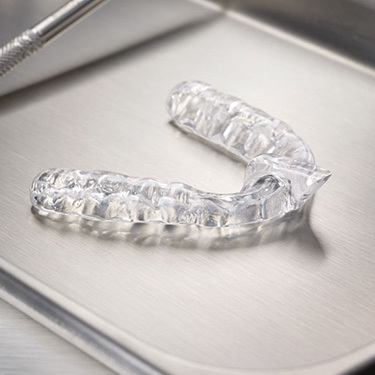 Because teeth grinding is so likely to take place at night while a patient is sleeping, our team recommends the use of a nightguard. This sturdy oral appliance will provide a strong barrier between teeth that minimizes the damaging effects. 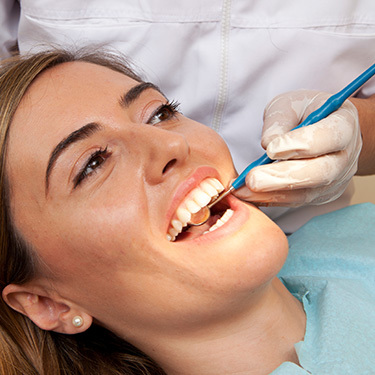 Here at Premier Family Dental, oral cancer screenings are an essential part of every regular checkup. This dangerous disease kills one person every hour on average, and many cases aren’t even properly diagnosed until they’ve reached advanced stages. By scanning our patients’ mouths for strange sores, white or red spots, and other signs of cancerous cells, we can assist them in receiving treatment and improving their chances of recovery much sooner. Fluoride is a natural mineral that has been added to most municipal water supplies here in the United States. This is because countless studies have shown that patients who receive a healthy amount of fluoride exposure tend to have stronger, healthier teeth on average than their counterparts. If you or your children aren’t receiving the proper amount, professional applications can also be performed by our team! Maintaining a strong oral hygiene routine at home can make a big difference in your long-term dental health, and our team would be happy to assist you! We offer several excellent products here in Central Texas that are reliable and effective when it comes to keeping your mouth free of harmful bacteria, such as Clinpro fluoride anti-cavity toothpaste and Gingimed oral rinses.